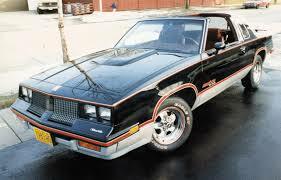 In the 70s and 80s Oldsmobile sales began to skyrocket. Oldsmobile managed to make it to the number three brand in America (the Cutlass models becoming North America’s top selling car by ’76) by building an engine that was reliable and having cars of decent quality for the money.The Rocket V-8 was so popular in fact that by the late 70s, Oldsmobile’s V-8 was in demand beyond the capacity of the plants ability to produce them. Oldsmobile would choose to start putting the chevy 350 V-8 displacement engines in most of the full size Delta 88 models. This would cause an uproar with loyal Oldsmobile customers that specifically wanted the Rocket 88 engine. This led to a disclaimer on Oldsmobile that their cars can have parts from other GM divisions and eventually led to the end of divisional engines at GM (Mateja, 1977). 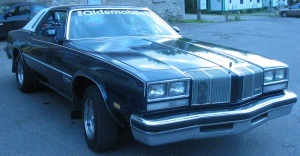 To battle the intense demand for Oldsmobile, (mainly the Cutlass series) GM would open up a Cutlass in Lansing in 1978, making Lansing the largest North American passenger car assembly complex. Then, in 1979, GM would open an engines plant in Lansing’s Delta Township putting Lansing automotive employment up to 23,000 people. In 1984, the Oldsmobile plants are reorganized under the Buick-Oldsmobile-Cadillac name. In this year Oldsmobile will make more cars in one year than it has ever done, it is the best year in Oldsmobile history. GM will also move Oldsmobile decision-making back to Detroit but still leave its headquarters in Lansing for the time being. GM workers at the Lansing plant start assembling non-Oldsmobiles. This will glory will be short lived however, as the 90s would bring about the down fall of Oldsmobile, America’s longest running automobile brand (GM Heritage Center, 2014).